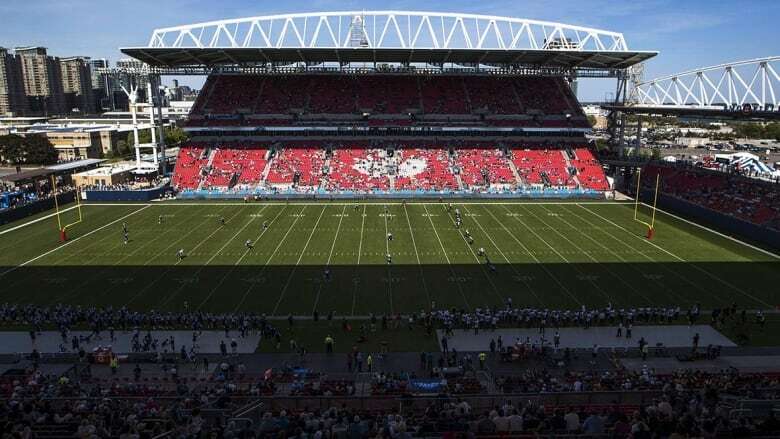 The backers of a proposed CFL franchise in Halifax say they're axing some of the "bells and whistles" in their stadium plan in order to reduce costs. 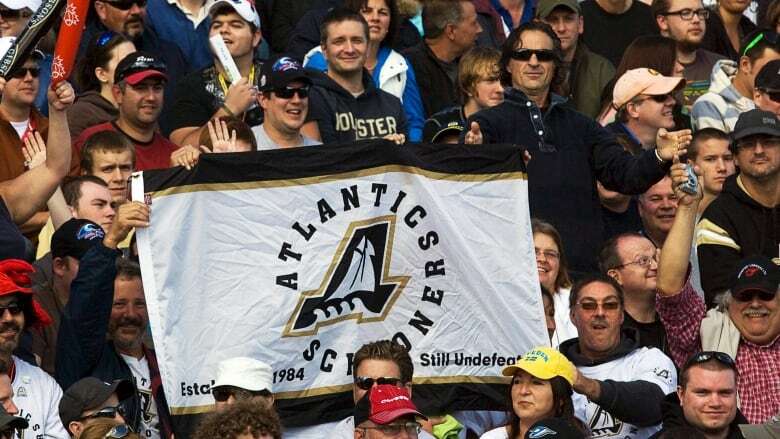 Anthony LeBlanc, the founding partner of the would-be Atlantic Schooners team, said the estimated cost is now in the ballpark of $120 million to $140 million, down from a previous estimate of $170 million to $190 million. "We're taking away some of the initial bells and whistles that we were thinking about simply because we've heard from elected officials, we've heard from people that have contacted us that we don't need to go crazy here," LeBlanc said. "We don't need to build Shangri-La." LeBlanc's group wants to bring a CFL franchise to the Halifax Regional Municipality, but needs a suitable stadium in order to make that dream a reality. The group is eyeing Shannon Park, a former military housing base near the MacKay Bridge in Dartmouth, for the project. LeBlanc said Halifax Mayor Mike Savage questioned during a presentation in November whether a "staged build" had been considered — that is, building a more basic stadium at first and adding to it over the years, similar to BMO Field in Toronto. While the group behind the bid hadn't considered that option before Savage's comment, that's now the working model, LeBlanc said, adding that his group is working with builders and architects to pin down the details. Those details include changing some of the seating in the upper deck to benches and adding general admission areas for about 4,000. The capacity of the domed stadium would still be 24,000, LeBlanc said. LeBlanc wants the Schooners to start playing in 2020, and has proposed the team could use the Moncton Stadium until a new facility in Halifax is built. "We've indicated to the city that our desire would be to play our first, and if need be our first couple of seasons, in Moncton while we have the stadium being built." Moncton Stadium is also a leading candidate to stage the planned 2019 Touchdown Atlantic game Aug. 25 between the Toronto Argonauts and Montreal Alouettes. Other communities interested in the contest are Saint John, N.B. and Antigonish, N.S. LeBlanc said the game won't be played in Halifax because there's no suitable venue there. He's hoping to have the venue finalized in the next couple of weeks. For months, the group has been attempting to drum up interest — and investment — in a team and stadium. So far, no level of government has committed funds to the stadium. LeBlanc said he has been meeting with municipal CAO Jacques Dubé every couple of weeks and shared the group's business plan verbally with him a couple of weeks ago. A written business case will be submitted to the municipality very soon, LeBlanc said. On Wednesday, Savage told CBC News he can't comment until he sees a plan for the proposed stadium. He did acknowledge that if the stadium proposal is less expensive, it's moving in the right direction. "If there's a smaller price tag, I think it gives it a better chance but it depends on what the numbers are," said Savage. "And I haven't seen the numbers." The group expects costs to be split roughly fifty-fifty between private businesses and public bodies once the construction debt and operating costs are factored in. Operating the facility will cost $3 million to $4 million per year, an expense that will be covered by LeBlanc's group. But LeBlanc said the builder will be responsible for any construction costs that go over budget. "We've made it clear that when we go out to market, this will have to be a fixed cost, meaning that the builder that puts their hand up and commits to the project will be the one that takes on any cost overrun." 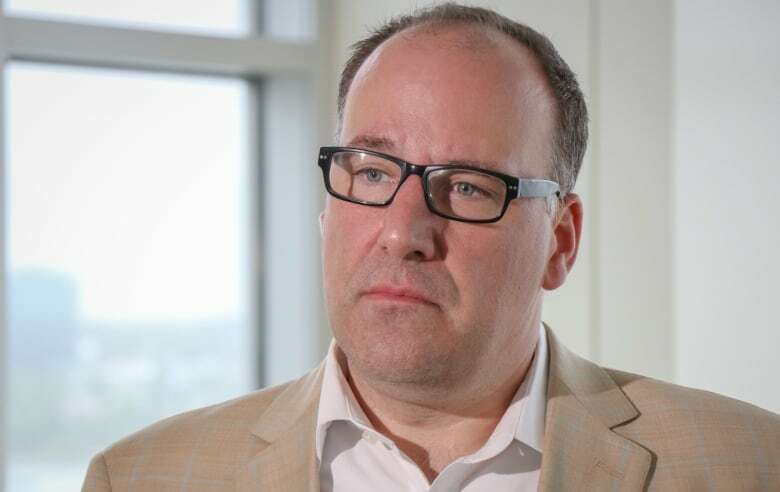 LeBlanc was in Halifax on Tuesday to meet with Sport Nova Scotia to discuss options for the local sport community, including youth sports, to use the facility. He estimated the stadium would be used more than 300 days a year. Jamie Ferguson, CEO of Sport Nova Scotia, said there's no question local sports groups would make good use of a stadium. "There's lots of our sports that are always looking for more access to facilities," Ferguson said. He said it's likely a stadium would get used "pretty much daily," at least in the evenings and on weekends. It would also allow clubs or leagues to host larger events or competitions than they can now, he said. Whether Halifax gets a stadium or not is a question LeBlanc hopes to put to rest soon. "We would like this to be kind of wrapped up one way or the other by, call it, the end of June." However Halifax Mayor Mike Savage said nothing has yet been submitted to the municipality for HRM staff to look at. So he isn't sure if a final decision on a stadium project can be made by June. "We don't know if the report will answer all the questions that we have," said Savage. "There's just a lot of moving parts."